When the bed and the mattress are perfectly matched to each other, we don’t notice it at all. We just sleep at night with comfort, getting up in the morning fresh and rested. The lack of harmony in the size of these two products for sleep is felt instantly - a large mattress is hunched, and too small is not able to close the entire opening of the bed. Given that the size of the mattresses produced today, can vary greatly, when you buy this product to the size you need to be careful about. If you buy a mattress at random, only by external parameters, you can be severely disappointed later. After all, even a luxurious orthopedic mattress of excellent quality, not suitable for the size of the bed, can deliver a lot of unpleasant minutes, hours and nights. To avoid this, consider the dimensions of the mattresses produced today and how to choose the mattress for your bed. In European countries, they use a different label from America - and this is often a hitch. If in France or Italy, centimeters are the basis, in the USA they are inches. So, having bought an Italian bed, and do not dream of choosing an American mattress for it, since it will be either too big or too small - there is no third. Here, for example, the mattress with the “royal” name King size is 80 inches long and 78 inches wide. 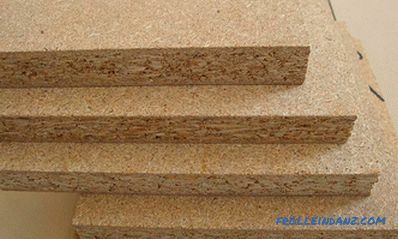 Recounting on European standards, we obtain fractional numbers: 203.2 and 198.1 centimeters. It turns out that the length of it in a standard bed (2 meters) produced in Russia, France or Italy does not fit, and the width does not find a suitable product. In order not to suffer, you can simply do - take and buy a mattress with a bed of the same brand. If it does not work, at least choose the same country of origin. For the most capricious customers, there is another way - to order a mattress according to individual measurements. 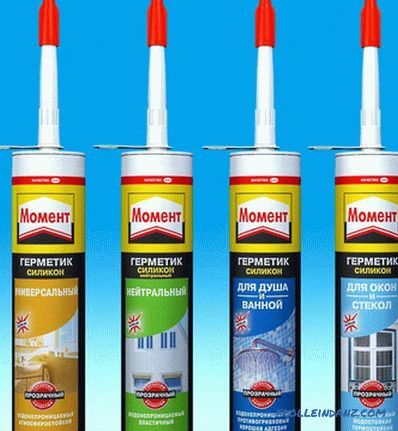 As a rule, both domestic and foreign manufacturers include such service in their price list. However, well-known brands are trying to keep the brand: the models they produce have the size of a mattress for a bed in a wide variety. Expensive products are produced both in European and American sizes. Mattresses with a diameter of Ø 230 cm are considered large. And newly born babies in cribs also have mattresses made according to certain standards. Most often they are 120 centimeters long and 60 centimeters wide. If the bed is designed for an older child, then the mattress to it is needed more - 70/140 centimeters. It should be noted that today manufacturers can pamper us with a variety of sizes of children's mattresses. Their width is in the range from 60 to 80 centimeters, and length - from 120 to 160 centimeters. Now it’s worth talking about the thickness, which can vary from 6 centimeters to 12–13 centimeters in a mattress without springs. If the mattress has a spring, then it may well be a height of 16 - 18 centimeters. By the way, sometimes this characteristic is of paramount importance - after all, some models of cots should be equipped with a mattress of a specific thickness. In such cases, it is indicated in the passport of the product. It is already clear that when choosing a mattress it is necessary to proceed from the size of the bed. The mattress should fit exactly into its inner perimeter in length and width. However, its height must correspond to its dimensions. Usually in the technical characteristics of the bed all these dimensions are indicated, you just need to carefully examine them before you buy. 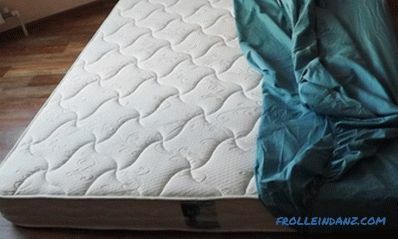 Although the seller can tell you all this, he surely knows.Well, if you just change the mattress on the old bed, then you have to work with a tape measure, measuring the inside of the perimeter of the bed. The resulting numbers will be the size of the required mattress. It is not necessary to take measurements from an old mattress - after all for years of use it managed to be compressed and deformed. Therefore, we measure only the bed, and then we look what happened. Suppose we have a width of 159 and a length of 200 centimeters (or a width of 80 and a length of 201 centimeters). This is nothing - an error of 1 centimeter and less is completely tolerated. So you can go for a standard mattress (160 centimeters wide in the first case and 200 centimeters long - in the second). But with deviations of 2, 3 centimeters, or even more, you need to order sleeping items exactly the size. Rounding up or down is not allowed. In the latter case, for example, upholstery will wear out extremely quickly due to friction. Only the dense (but without stock) entry of the mattress into the notch in the bed will give you the comfort you need, and the product - long life. If we start from the standard sizes of mattresses, then the most common length of the mattress is 200 cm. short mattress - 190 centimeters. Also on sale is often the average size - 195 centimeters. To make you feel comfortable in a dream, the mattress must be “taller” than you by 15 centimeters - no less. Mattresses that do not have springs are usually made 16 centimeters thick. However, they can be lower (15 centimeters), and higher (up to 24 centimeters). Thin products - from 2 to 10 centimeters - are suitable only as mattress covers. For example, they can be laid on an old sofa with crushed springs. 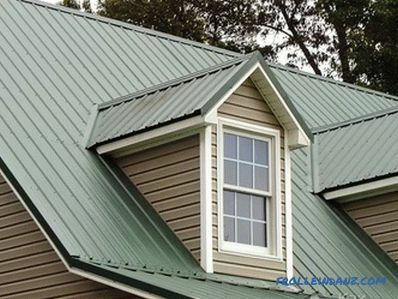 Products with springs inside are produced in standard heights from 20 to 22 centimeters. Also in stores sold models with a thickness of 18 to 32 centimeters. There are also higher half-meter models that are considered elite. 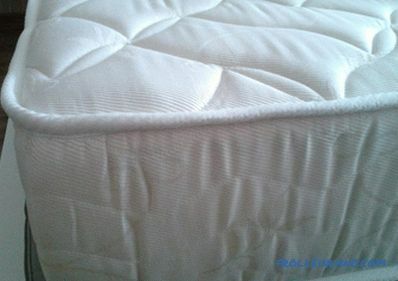 The width of the model of the mattress is conventionally divided into single and double, sometimes even one and a half. The single mattress is 80 to 90 centimeters wide. More comfortable for one person one-and-a-half mattress is wider - 120 centimeters. On it together you will not sleep enough, but one is gorgeous. 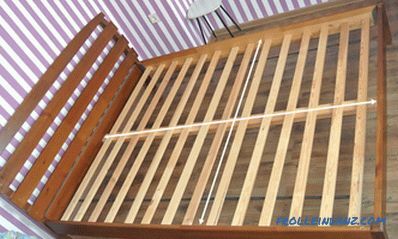 The double mattress can have a width of 140 to 200 centimeters (in increments of 20 centimeters). Here, too, there is a certain standard of width - 160 centimeters. It is in this size that most double bedding sets are sewn. Well, a model with a width of 180 centimeters will suit families with a baby who loves to soak up the bed with their parents. 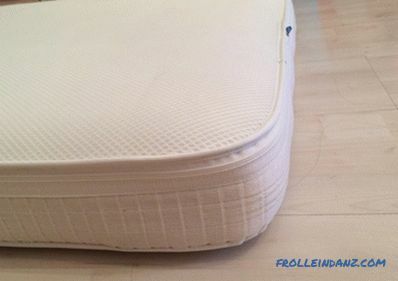 The mattress is round, as already mentioned, may be small (diameter - 200 or 210 centimeters), medium (220 centimeters) and large (230 or 240 centimeters). Sometimes you don’t want to be like everyone else, and people order something “sort of” for themselves or for their children. For example, a diamond, oval or shaped bed. But after all, the size of orthopedic mattresses produced today, obviously will not fit such fancy products. Therefore, one option - the mattress must be made to order. In general, this is not a problem - there would be money. 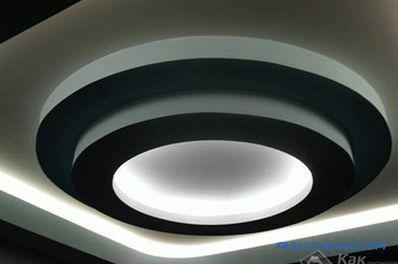 Factories are usually willing to undertake such work. But you yourself can choose the fillers, upholstery, the number of layers, and also determine whether there will be springs in the mattress, and which ones. 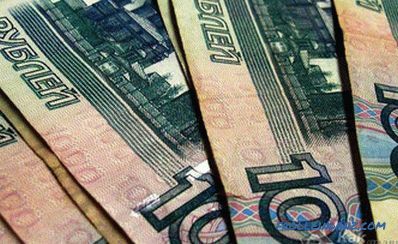 As for the price, the surcharge for non-standard products is usually 5 - 10 percent. Let out such mattresses with a step in - 5 centimeters.